When you are investing in a new home, you should do everything to find the best property which is not only safe but also fits your budget properly. 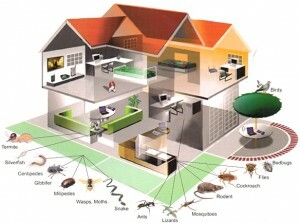 One of the major things which you should check is that the house should be free from the pests. This is also very important if you want to live a happy, healthy and comfortable life. You won’t ever want your kitchen to be full of pests, nor do you want the termites to destroy your home, isn’t it? To ensure the fact that you are not investing your money in a property which is pest infested, it is very important to go for pest inspection services. The process of pest inspection will help you know whether the property which you are planning to buy is a good investment or not. In case, if you have chosen an area where you can see the pests everywhere, it’s very important to call for pest inspections service. In circumstances when you are living alone or thinking of selling the property in future, pest inspection is a must. It won’t be possible to sell the property if your home is full of pests. The good thing is that there are many reliable and trustworthy pest control companies offering a variety of services i.e. rat control, timber pest inspections etc. Before buying a home, pest inspection is a kind of service which most of the people should opt for. You can speak with the PEST ASSOCIATION of your state and they will help you to control the pests. They will protect your home from any kind of pests. Even when you have bought a property which is 100% pest free, one should still use these services to protect the furniture. Keep all these tips in mind to choose the best expert for pest inspection.